Many of us check out in the summertime, with vacations to take and the kids around more, it can be enough to just focus on getting the work done that needs to be done. I know I make an effort to give my family more of my time during the summer months and don’t spend as much time networking and reaching out to people as I do the rest of the year. The result is now that I’m back in the office full time, I can feel overwhelmed and disjointed. This means time to make a conscious effort to invest in new relationships. I’d like to encourage you to think about who you are connecting with and how those connections influence your success. 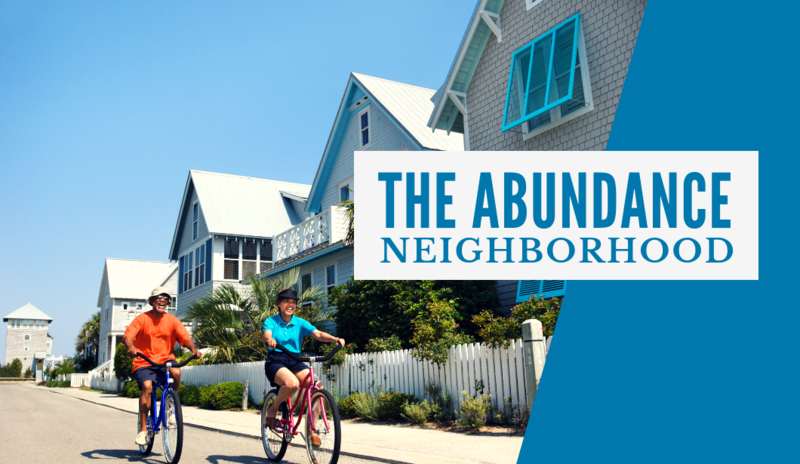 Author and business coach Dan Sullivan talks a lot about the abundance neighborhood. This neighborhood is filled with people who are grateful, creative and cooperative. This contrasts with the what Dan calls the scarcity neighborhood, which is filled with envy, guilt, and anger. My wife and I deliberately make choices in our professional and personal lives to connect with those that support the idea of the abundance neighborhood. We value creativity, personal growth and ambition, and we look for people who value those same traits. Our oldest son attends boarding school, for example, and when we talk to him about why we chose to send him to this school, we are clear to say one reason is we want you to be able to be surrounded by interesting people who are ambitious. Their career plans may be varied, some are likely headed to Wall Street while others may want to teach, write or become a war photographer. But the commonality is these kids have aspirations. Our second son, meanwhile, attends a local public school. It’s a great fit for him as he’s been able to stay focused and has supportive teachers and strong friendships with kids headed toward interesting careers. Our boys are in different physical environments, but the right “neighborhood” for their personality. I enjoy Dan’s talk here called “The Abundance Spiral Progression.” It’s a great reminder of the importance of being grateful for what you have. Here’s to you finding the neighborhood that fits the life you want to lead.